3 Bedroom Semi Detached House For Sale in Colchester for £270,000. Bairstow Eves are pleased to bring to market this delightful, well presented three bed semi detached home, which is situated to the South side of Colchester. Colchester town centre is less than three miles away. 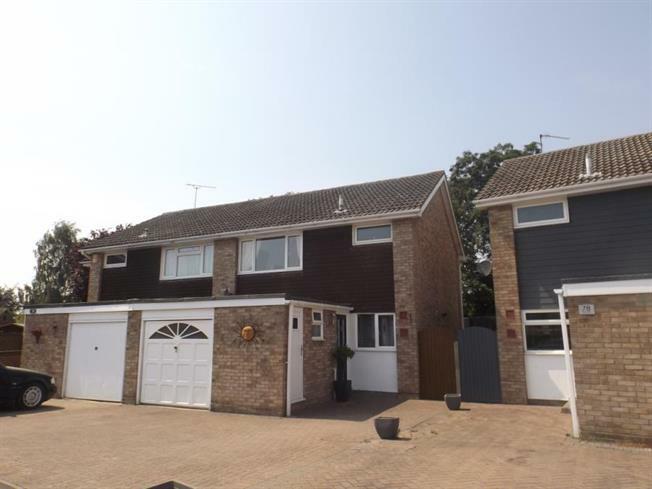 This family home consists of living room, kitchen / diner, and cloakroom, whilst on the first floor you have a family bathroom and three bedrooms. An early viewing is highly recommended. Low level W.C, sink with pedestal. Windows to rear aspect, patio doors leading to secure garden. Range of base and wall units, integrated oven and hob space for fridge freezer, window to front aspect. Fitted bath with panel, low level W,C, sink with pedestal. Window to front aspect.